Cash is the preferred method of payment, although cards are accepted, we just ask to arrive a bit earlier and be patient while we process them. Whether you have a reservation or not, we recommend you show up at least 45 minutes early for your ferry’s departure time. But an hour early is recommended especially of you don’t have a reservation already. Keep in mind folks, there is a $5 per car fee to enter fort de soto park. This fee is to enter the county park and is not something we have control over. However, we wanted to make sure you were aware of this fee. Also, depending on your route to the park there will be at least one small toll to pay on your way into the park and a total of two tolls if you come from the beaches area. However, the total of the tolls is less than $3 but make sure to have quarters with you for the tolls and some cash to make the entrance payment quick and easy. Also the boat is entirely cash only so it does help to come prepared with some extra cash above the cost of the trip. 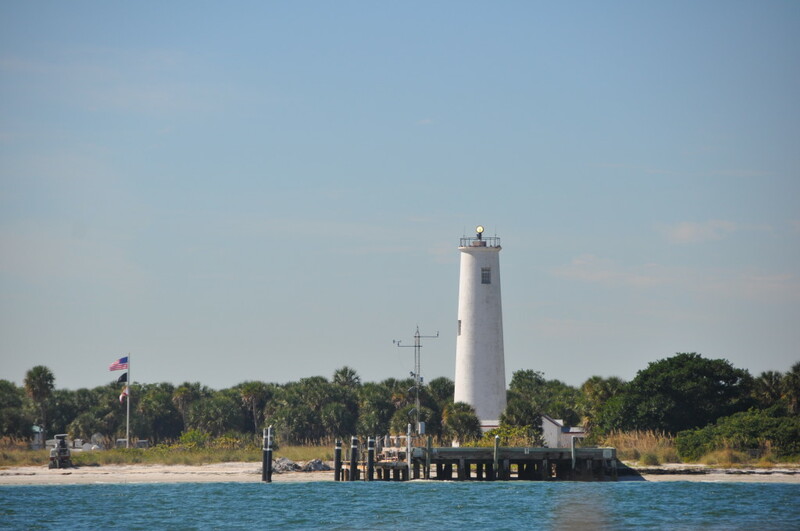 If you want to spend some time on a beautiful pristine island paradise, the ferry to Egmont key state park from Fort De Soto is a great choice for you and your family for a day of fun in the sun with Hubbard’s Marina. Our ferry boat operates from the Fort De Soto bay pier daily in the spring and summer and nearly every day in the fall and winter (check the schedule for exact times and days of availability). The ferry ride to the island is about twenty five to thirty minutes and offers great chances to spot dolphins, sea turtles, and sometimes even manatees! We also often spot sea birds on the ride to and from Egmont Key Island aboard the Tampa bay ferry or our big green boat. 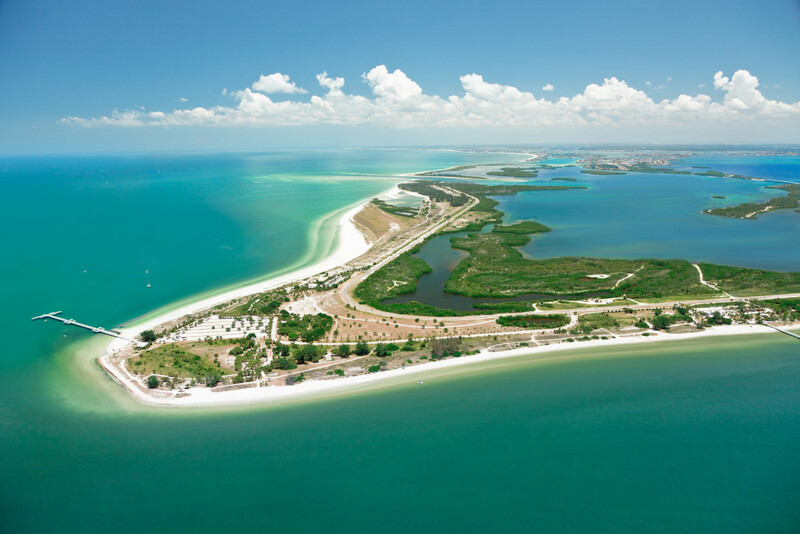 Once on the island, Egmont key offers great shelling, swimming, and exploring opportunities. There is even a large fort on the island named fort Dade. This fort dates back to the Spanish American war era and is spread out along the island’s interior. 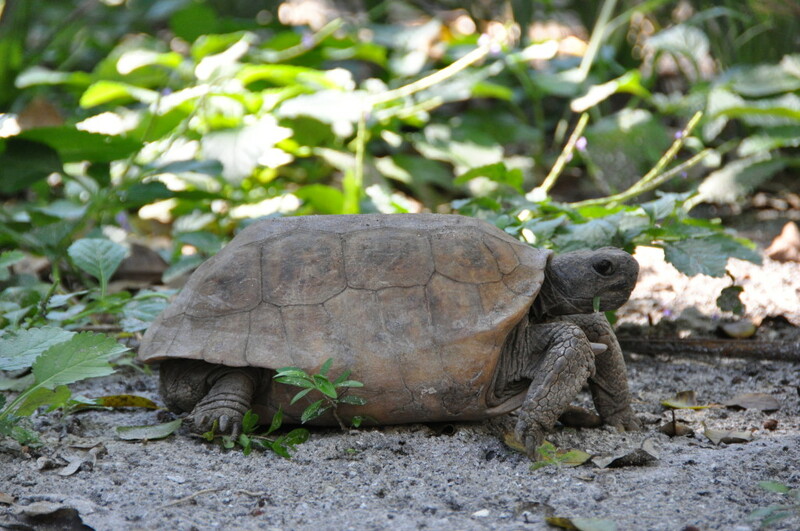 Egmont key is also home to a large population of native gopher tortoise. These large slow moving tortoise are an endangered species so you can’t touch them, but they make for great photos as you spot them throughout the islands interior. Egmont Key is also home to a large nature preserve nearly half of the island is blocked to guests allowing the native seabirds and sea turtles a section of undisturbed beach. This nature preserve area is home to tons of nesting birds and nesting turtles and we cruise around it when you take the snorkeling cruise option. The snorkeling cruise is another option while out on the island with us at Hubbard’s Marina. The snorkeling option is $15 per person and offers about an hour in the water for confident swimmers. 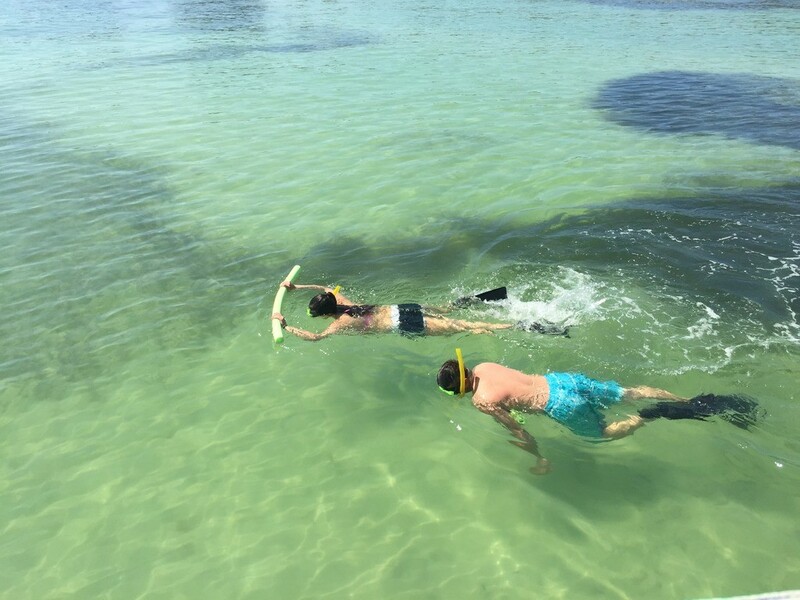 We snorkel the sunken ruins of fort Dade, or the grass flat beds depending the weather and conditions at the island. The snorkeling cruise is first come first serve and you reserve this on your way out to the island on our boat. So if snorkeling is something you really want to do we recommend taking the earlier ferry ride to the island so you will definitely have a chance to get reserved on the snorkeling trip before it fills up to capacity. If you need to rent snorkeling gear (Mask, snorkel and fins) we will provide this to you for a $5 rental fee. This means for a ferry ride to the island, snorkeling and snorkel gear rental the entire trip is only $45 per adult and $32.50 for kids 11 and under since kids are half price or ten dollars on the ferry boat to the island. Kids and adults are all $15 to snorkel since spots are limited on that cruise. If you’d like to take a ferry ride to Egmont key with us, pack like your spending the day at the beach bring sunscreen, towels, bathing suits, and sun protective hats, shirts and other gear. Egmont key is a pristine island there isn’t a bathroom or any type of shop on the island so make sure to come prepared with a cooler full of water, food and drinks or you can pre purchase a lunch box option for $9.99 when your making your reservation at least 24 hour in advanced. The lunch option includes a sandwich, bag of chips, granola bar, soda, and water! ATTENTION: Due to the multiple trips that we offer, the boat will not always be present. While the boat is docked, you will be able to use the bathroom, buy snacks, soda and water from the galley on board. You cannot bring alcohol, glass, pets, kites, or drones to the island because it is a state park and these items are prohibited. The kits and drones are not allowed due to it being a wildlife preserve. You can make your ferry reservations online or by phone 24 hours in advance or you may show up the day of the trip and reserve your spot at the ticket booth. Tickets available on a first come first serve basis. A fertile community resides in the seagrasses on the east side of Egmont Key. At low tide, snowy egrets, american oyster catchers and sometimes blue heron search for fish, shrimp and mollusks in the rich waters. Just off the seagrass beds are the giant sand dollar beds that we sometime visit snorkeling. You’ll see these all over Egmont Key. Despite their reputation for being slow, these turtles are surprisingly fast. You will come upon them as you walk the paths of Egmont Key, but don’t disturb them or let the kids pick them up. The gopher tortoises live in burrows, and sometimes share their space with lizards, frogs or snakes. You might see a mound of soft sand in front of a burrow- it could contain eggs. No alcohol is permitted in state and county parks. Interior sand is extremely hot. Bring water. Wear shoes while hiking, take caution on uneven walkways. Do not handle turtles! Watch, take pictures, and let them go their way. No littering. All trash must be taken back on the ferry boat and disposed of properly. Follow maps, roads and paths. When hiking and exploring around the ruins of Fort Dade, do not damage structures or remove artifacts. This trip is for agile people without physical challenges, not for anyone who may be at risk. mild to strong currents and other natural water conditions. Flotation devices are available, also instruction on snorkeling. Do the “stingray shuffle” while wading. No climbing on the rocky ruins off Fort Dade. long, less than 1/2 mile wide. nesting area for sea turtles. Walk through the historic ruins of Fort Dade or along the brick paths that remain from the days Fort Dade was an active community with 300 residents. Gopher tortoises can sometimes be seen as you walk the historic paths. Many visitors are treated to the sight of hummingbirds and other seabirds. So that today’s visitors and tomorrow’s generations may enjoy Egmont Key’s unique historical, recreational and natural resources. To continue to educate and assist the Army Corps of Engineers, Pinellas and Hillsborough County officials, State legislature and Congressional Leadership about this critical problem and possible solutions. Assist and work with the U. S. Fish and Wildlife Service, the Department of Environmental Protection and the Coast Guard for a property resolution (ownership) resolution so that restoration plans can proceed. Also, to continue research into the lighthouse and to explore possible funding sources for restoration. Now that the Guardhouse has been restored and interpretive displays added, continue to add more displays that are relevant to the history and natural resources of the island. 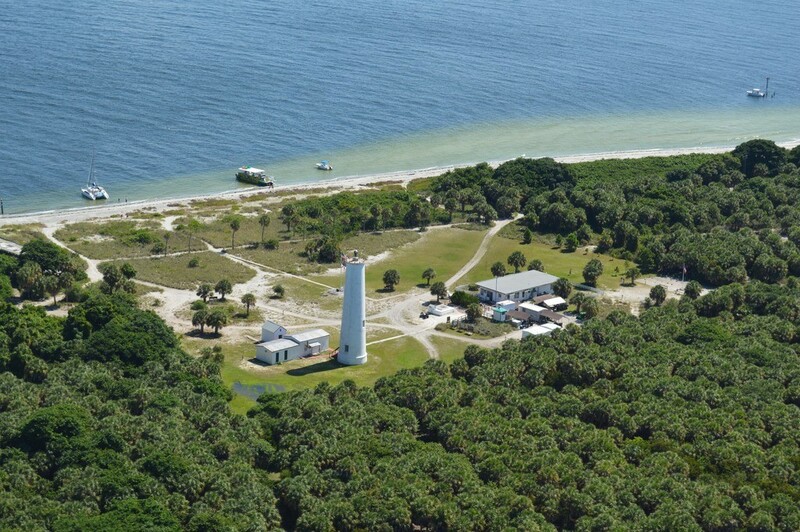 When you become a member of the Egmont Key Alliance you can be a part of “restoring, preserving and protecting” Egmont Key and assist the Florida State Park Service in its goals. There are benefits to membership also. We have several partner organizations that offer discounts on either membership or admission to their venues. You can download a Membership Application and mail it to the Egmont Key Alliance, P. O. Box 66238, St. Pete Beach, FL 33736 or complete and online membership. Click on the Become A Member button above to access printable application. Millions of people visit Fort De Soto each year, and very few realize that the fort they see is only one part of the naval defenses that were created to protect Tampa bay at the time of the Spanish American war. On nearby Egmont Key, Fort Dade, with five batteries, was built. The guns of Fort De Soto and Fort Dade jointly controlled the shipping channel between them. In addition, Fort Dade controlled the channel on the other side of Egmont Key as well. The lighthouse was built in 1858.Anyone who finds Fort De Soto interesting should make a point of visiting Fort Dade too. It’s a MUST SEE! The military base was actually bigger than Fort De Soto. The small town included even a bowling alley. Wander along the red brick streets, still in good condition! On an absolutely stunning Florida day, the Egmont Key Lighthouse stood gleaming white, resplendent against a cloudless azure sky. Luminous from a new coat of white paint, the150 year old Lighthouse was visited by dignitaries and ordinary people, who all came together to celebrate the century and a half of guidance the Lighthouse has provided the ships that flow into the mouth of Tampa Bay.